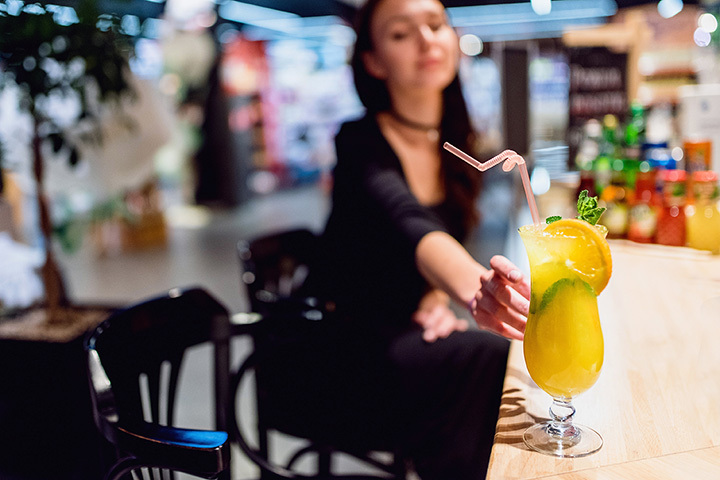 From martinis to margaritas to unique cocktail concoctions, there are plenty of incredible cocktail bars in Colorado to enjoy a well-crafted drink. You won’t be disappointed with your delicious drink created from experienced mixologists at one of these 10 best cocktail bars in Colorado. Williams & Graham is one of the top cocktail bars in the state. Located in downtown Denver, Williams & Graham is a Prohibition-themed speakeasy that has an impressive cocktail menu. Guests will enjoy classic cocktails along with unique fusions served by some of the best mixologists in the city. This speakeasy cocktail lounge in Golden creates incredible cocktails all made with spirits by Golden Moon Distillery. At Golden Moon Speak, enjoy a classic or modern cocktail while listening to live music. Manhattan cocktails lovers and Old Fashion enthusiasts alike will enjoy a stiff drink at Golden Moon Speak. There are over 800 different spirits found at Finn’s Manor. This Mile High cocktail bar features a great cocktail menu with new drinks featured regularly. Beer lovers will also feel right at home here too since there are plenty of unique craft beers on tap at Finn’s Manor. The Bitter Bar makes some of the best cocktails in Boulder. You’ll find original and classic cocktails, along with new mixes that are sure to please your palate. No matter what you order at the Bitter Bar, it is sure to be strong yet tasty. Union Lodge No. 1 has plenty of antique charm. At this pre-Prohibition cocktail lounge in the Mile High City, you’ll find classic drinks like the Sazerac made with ice chipped by hand. Don’t even bother asking for Pepsi or Coke products, since this themed cocktail bar does not used modern-day mixers. Located in Colorado Springs, the Wobbly Olive uses fresh ingredients in every cocktail. Enjoy a well-crafted cocktail along with tapas and other made-from-scratch snacks and foods. Sister bar to Denver’s Colt & Gray, Saint Ellie has turned into a fan favorite among cocktail snobs. Here you’ll find a rotating cocktail list that it sure to please. Made with specialty spirits, you are bound to be blown away by your crafted cocktail made from a mixologist at Saint Ellie. Head to the basement of Meat & Cheese Restaurant & Farm Shop to find this cocktail bar in Aspen. Hooch Craft Cocktail Bar offers a seasonal menu full of unique drink concoctions. Both beer drinkers and wine lovers alike will find something great on the menu at Hooch. You’ll find both classic original cocktails and a unique mix of rotating cocktails on the menu at Bar Fausto. This hip hangout offers delicious cocktails in an easygoing atmosphere. Enjoy small plate foods, tasty snacks and impeccably made cocktails at this Mile High cocktail hotspot. Have a great martini or perfectly crafted cocktail at the Cruise Room located in the Oxford Hotel in Denver. This historic hotel’s bar was the city’s first post-prohibition lounge, which opened the day after Prohibition ended in 1933. Enjoy a unique atmosphere and an incredible drink at the Cruise Room.